There is an abundance of turquoise waters, good sailing and bright sunny days throughout much of the Mediterranean, so why choose the Aegean and Mediterranean coastlines of Turkey. The reason is simple enough. While you can test your sailing skills along almost any coastline of the world, the most important aspect is the places you visit after you drop anchor at your destination. The serenity of the lonely bays along the Aegean Coast, the sincerity of the villagers you encounter ashore and the rich history of the area makes for a very special experience when exploring Turkey by the sea. The region enjoys a virtually ideal climate, inviting waters, and a host of bays and islands, each with its own special attraction. The vast array of attractive coastal features and the hospitable face of modern Turkey's coastline on the Aegean and Mediterranean seas have given this region a special name, the Turquoise Coast. 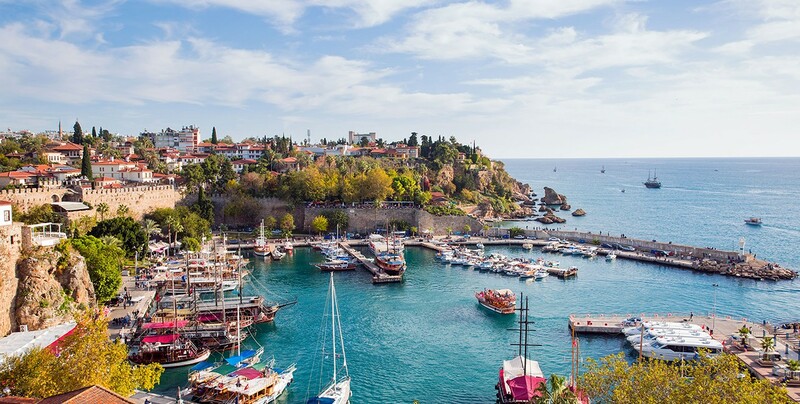 The Turquoise Coast is almost 560 km in length and extends from Kusadasi in the north to Antalya in the South. The ins and outs of the many bays and inlets along the curving coastline effectively double its length making blue water voyaging along its seas a very special experience. 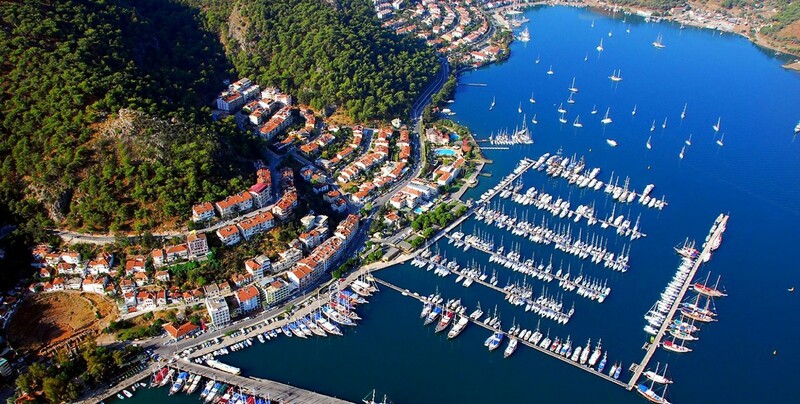 Muğla Province has 131 pearly bays along its 1124 km coastline. Both experienced and amateur sailors who want to enjoy being at sea and feeling the wind on their faces can rent a Gulet. Can explore even more remote locations during a blue voyage aboard one of the locally built yachts called Gulet. The Gulet is a modern adaptation of a traditional Mediterranean sailing yacht and the name comes from the Italian word "gouletta". Gulets are locally produced from Aegean pine with wide decks and large comfortable cabins. Captain, cook and crew join to form an image of natural harmony making a voyage aboard a Gulet an ideal way to fully enjoy the turquoise coast of Turkey. 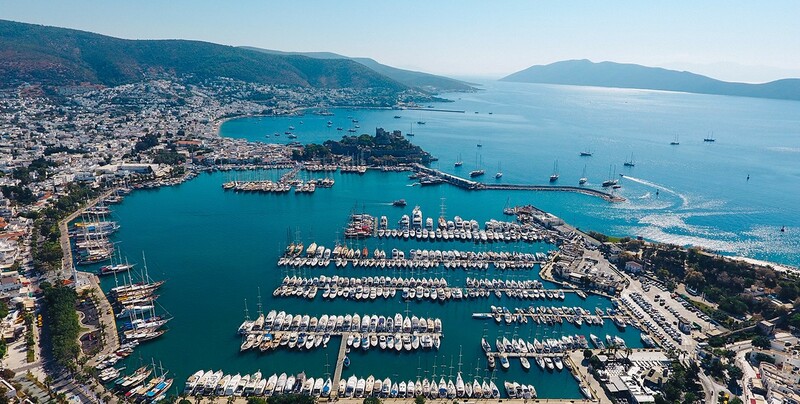 If you are the type who wants to be in Turkey when the action is, you will want to visit in yachting season between begining of May and the end of September. The Mediterranean and Aegean coastal areas are getting full with thousands of visitors coming daily. In July and August the days are long and hot and the nights are warm. Prices for the gulet cruise and accommodation is the highest at this time. If you want more peace and quiet, yet splendid weather, try a visit in May & June or September & October. The water in September can be especially warm in certain places. The off-season of late April, May and October offer excellent sailing conditions and the opportunity to go trekking or fishing. It is still warm enough to swim in many places. The sun shines differently here. The nights are longer, the drinks more enjoyable. And then there is love in Turkey ... You have to experience it to truly understand the attraction of Turkey. Turkey is one of the safest countries in the world to travel. Tired from work? Wanting to have an excellent way to relax and unwind from the stressful life? Well, it is about time you go and visit a heavenly place where you can have your exceptional vacation. Start planning for your holidays to Turkey and be amazed with what you can do in this paradise. 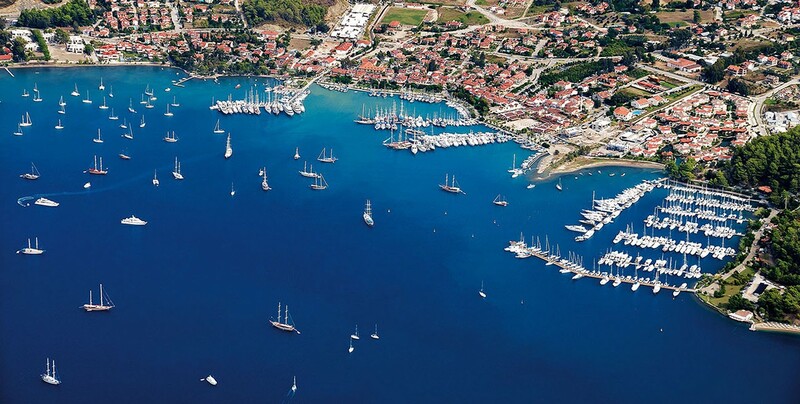 Looking for a yacht charter in Turkey? You deserve the best personal attention, so be assured that we will offer the ideal gulet yacht charter for you for any budget. 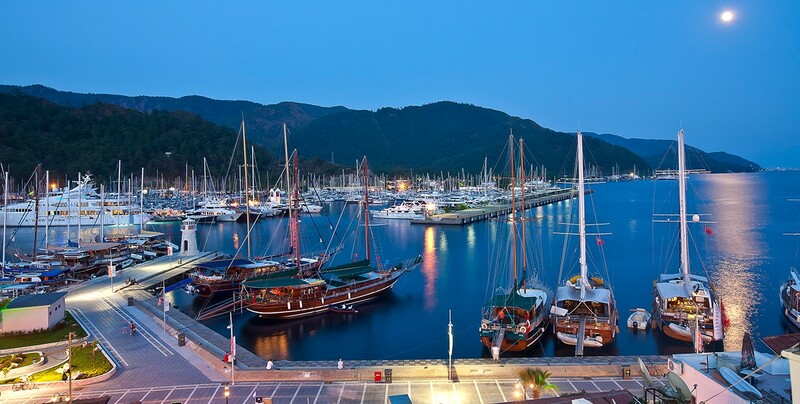 Visit our Gulet Chartersection for a large selection of yachts. Our experienced team will assist you in finding the best gulet and will make your cruise the most enjoyable one for you. Swimming, snorkeling, delicious meals and hundreds of adventures await you.